Herbs, rather than short-lived flowers, can provide fragrance all year round in the garden with their aromatic, often evergreen, leaves. Brush past a mint or sage plant or rub the leaves of lavender or thyme between your fingers and the herb leaves instantly release aromas. These scents could remind you of perfumes or your favourite food (oregano always reminds me of pizza!) but they can all evoke feelings, memories and tastes that capture your emotions for a moment. I was recently working with groups who were taking cuttings in a greenhouse and the space was filled with a wonderful fragrance while we worked on the sage, lavender and rosemary plants. 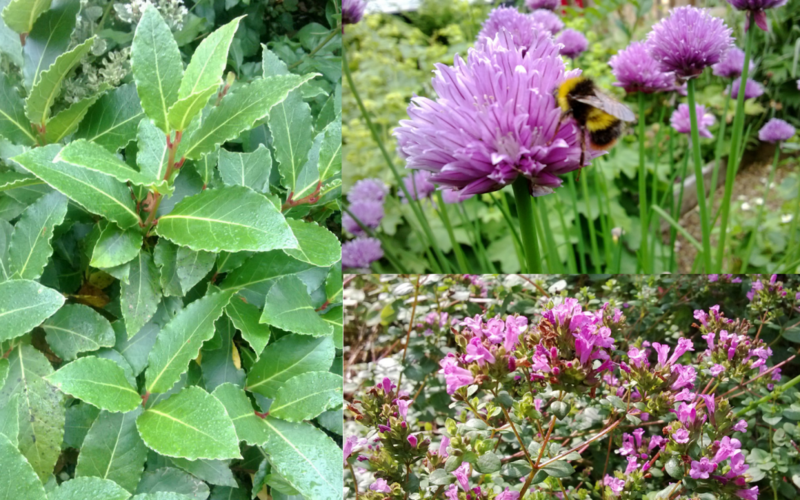 Herbs are naturally wildlife-friendly as their flowers produce nectar and pollen for a wide range of insects including honey bees, bumblebees, butterflies and hoverflies. The good news is that, if you provide the particular growing conditions they need, they are easy to look after. Below I’ve grouped herbs according to the conditions they like, so you’ll know where and how to grow them. These plants appreciate plenty of sun and need well-drained soil. 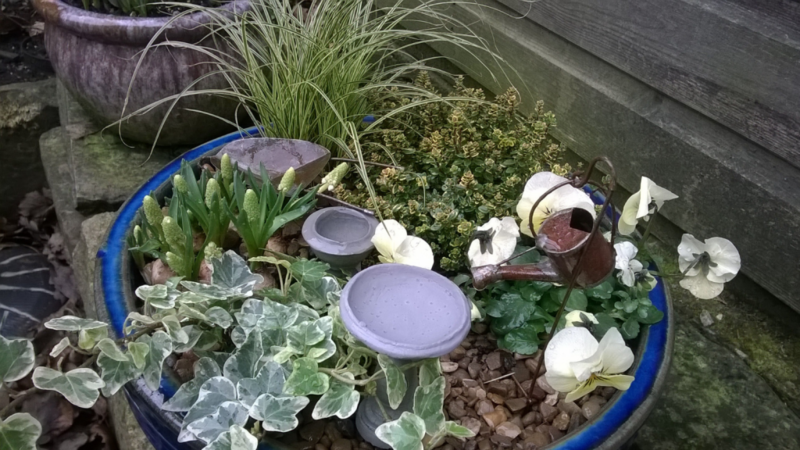 If your garden soil is wet, heavy or clayey grow these plants in pots, troughs or raised beds where you can mix sharp sand/grit in with the compost/soil to create good drainage. These are all happy to grow in soil, but if you prefer to grow them in pots make sure they are watered regularly. 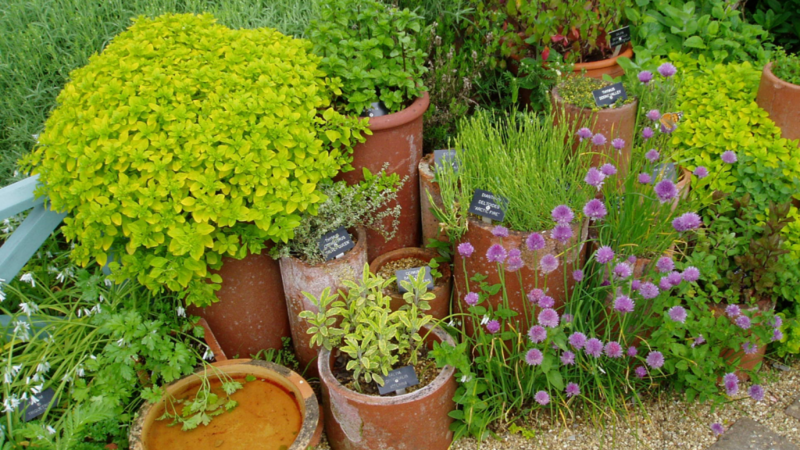 Use a cluster of pots of a similar colour or quirky recycled pots to create a unique herb garden in a small space. 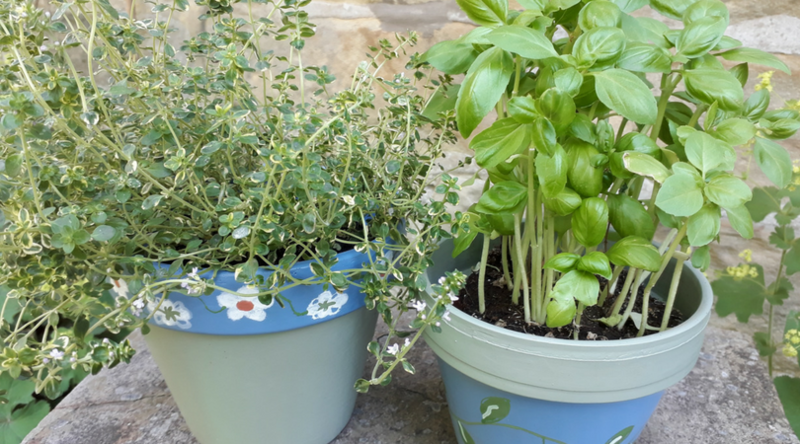 Or try mixing in small herb plants such as lavender, sage and rosemary in containers or hanging baskets with flowering plants. 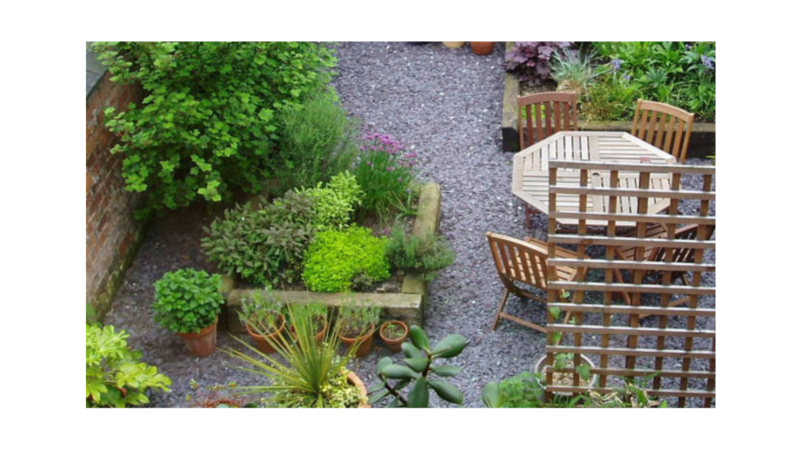 If you have more space you can create a raised Herb Garden with sleepers which will create a well-drained growing area that will suit most herbs. 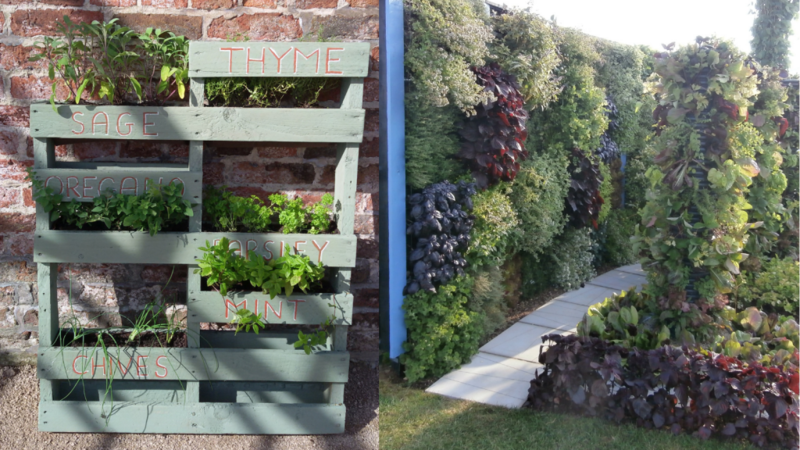 Re-using pallets (on the left) – just remove some of the wooden slats, paint with outdoor garden paint and use a staple gun to attached permeable membrane to create the planting troughs. Attaching purpose made Flora Felt planting pockets to a wall to create a hanging herb garden. 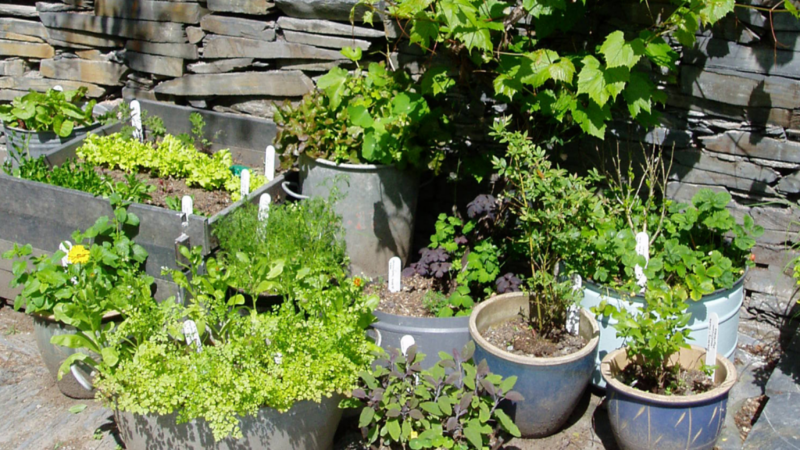 Many herb plants are widely available from garden centres or online specialists, but you can also grow your own more unusual herbs from seed or take stem cuttings from your own or friends’ plants to create or replace plants. If you’d like to find out more about growing your own herbs or other plants from seeds and cuttings look out for my springtime workshops on Plant propagation and ‘Growing Your Own’ or sign up for my newsletter to get updates on available workshops.